The volume, diversity and velocity of biomedical data are exponentially increasing providing petabytes of new neuroimaging and genetics data every year. At the same time, tens-of-thousands of computational algorithms are developed and reported in the literature along with thousands of software tools and services. Users demand intuitive, quick and platform-agnostic access to data, software tools, and infrastructure from millions of hardware devices. This explosion of information, scientific techniques, computational models, and technological advances leads to enormous challenges in data analysis, evidence-based biomedical inference and reproducibility of findings. The Pipeline workflow environment provides a crowd-based distributed solution for consistent management of these heterogeneous resources. The Pipeline allows multiple (local) clients and (remote) servers to connect, exchange protocols, control the execution, monitor the states of different tools or hardware, and share complete protocols as portable XML workflows. In this paper, we demonstrate several advanced computational neuroimaging and genetics case-studies, and end-to-end pipeline solutions. These are implemented as graphical workflow protocols in the context of analyzing imaging (sMRI, fMRI, DTI), phenotypic (demographic, clinical), and genetic (SNP) data. Some of the data used in preparation of this article were obtained from the Alzheimer’s Disease Neuroimaging Initiative (ADNI) database (adni.loni.ucla.edu). As such, the investigators within the ADNI contributed to the design and implementation of ADNI and/or provided data but did not participate in analysis or writing of this report. A complete listing of ADNI investigators can be found at: http://adni.loni.ucla.edu/wp-content/uploads/how_to_apply/ADNI_Acknowledgement_List.pdf. This study was partially supported by National Institutes of Health grants NIA P 50 AG16570, NIBIB EB01651, NLM LM05639, NIMH R01 MH071940, NIBIB P41EB015922, U24-RR025736, U24-RR021992, U24 GM104203, as well as National Science Foundation grants 0716055 and 1023115. 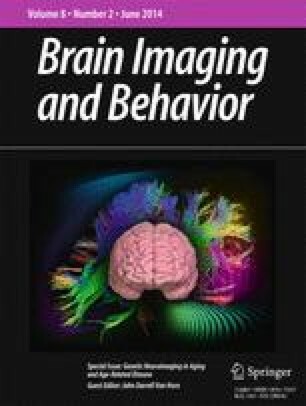 The authors are also indebted to the faculty, staff and students in the Laboratory of Neuro Imaging (LONI) for their support and dedication. Some of the data processed in this study was partly funded by the Alzheimer’s Disease Neuroimaging Initiative (ADNI) (National Institutes of Health Grant U01 AG024904). ADNI is funded by the National Institute on Aging, the National Institute of Biomedical Imaging and Bioengineering, and through generous contributions from the following: Alzheimer’s Association; Alzheimer’s Drug Discovery Foundation; BioClinica, Inc.; Biogen Idec Inc.; Bristol-Myers Squibb Company; Eisai Inc.; Elan Pharmaceuticals, Inc.; Eli Lilly and Company; F. Hoffmann-La Roche Ltd and its affiliated company Genentech, Inc.; GE Healthcare; Innogenetics, N.V.; IXICO Ltd.; Janssen Alzheimer Immunotherapy Research & Development, LLC. ; Johnson & Johnson Pharmaceutical Research & Development LLC. ; Medpace, Inc.; Merck & Co., Inc.; Meso Scale Diagnostics, LLC. ; NeuroRx Research; Novartis Pharmaceuticals Corporation; Pfizer Inc.; Piramal Imaging; Servier; Synarc Inc.; and Takeda Pharmaceutical Company. ADNI data are disseminated by the Laboratory for Neuro Imaging at the University of California, Los Angeles. As of September 2013, the Laboratory of Neuro Imaging (LONI) will be relocated to the University of Southern California (USC). Thus, some of the URL links, web-page references, and internet resources cited throughout this manuscript may be relocated to appropriate subdomains under http://www.loni.usc.edu. If you find broken links or defunct URLs please contact help@loni.usc.edu. Cisco Systems Inc. Cisco Visual Networking Index: Global Mobile Data Traffic Forecast Update, 2012–2017. Cisco 2012; Available from: http://www.cisco.com/en/US/solutions/collateral/ns341/ns525/ns537/ns705/ns827/white_paper_c11-520862.pdf. Matellán Olivera, V. (2012). Studying the evolution of libre software projects using publicly available data; Available from: https://buleria.unileon.es/handle/10612/1796.